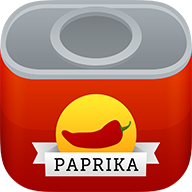 The easiest and simplest way to import those documents is to copy and paste from the Mac or Windows versions of Paprika into a new recipe window. Convert your file(s) to YAML. Paprika supports importing YAML files as described here. YAML is a plain-text format which uses indentation/whitespace and special characters like the colon (:) to delineate recipe fields. Multiple recipes can be contained within a single file. If you're a programmer writing a script to convert the files, Python has a nice YAML library which could be useful in your endeavors. With regards to image-based PDFs and scans of recipes from cookbooks, some users make use of Google Drive/Docs free image-to-text conversion capabilities to convert the files to text, and then open the Google Doc in Paprika's browser and use the clipboard tools to manually clip the recipe into the app. In the future Paprika will likely use document classification algorithms and a CSV importer with custom field mapping to permit importing random documents.